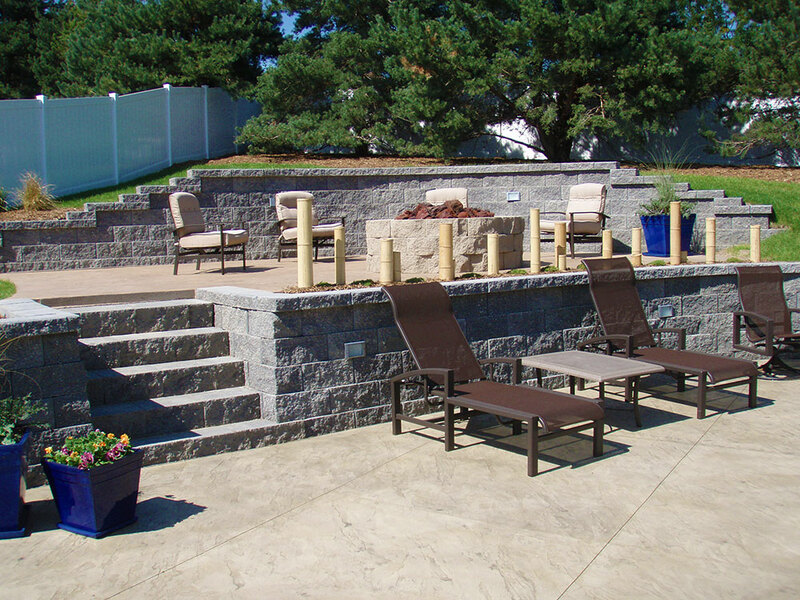 Let Wahle, Inc. give you the outdoor landscape for entertaining, for the kid’s playtime, or that is just easier to maintain. 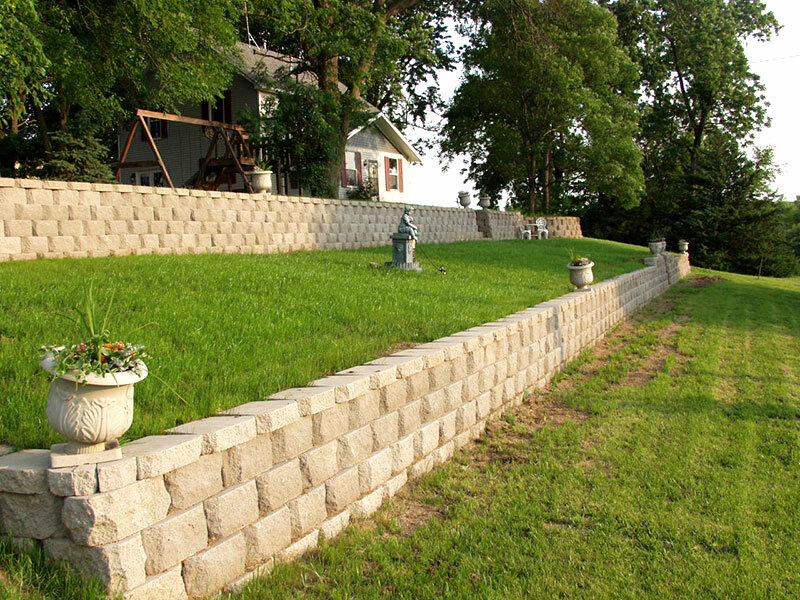 Wahle, Inc. specializes in modular concrete block retaining wall installation. With these popular block systems, we can achieve either the uniform look of solid colors or the natural look of marbled stone. All products come in a variety of sizes, so we can create the perfect look for your job - no matter how big or small. 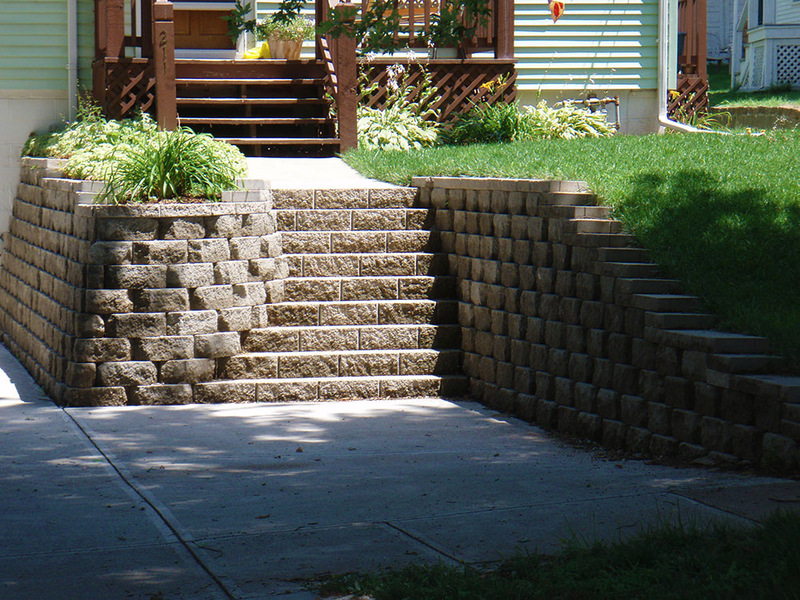 Wahle, Inc. exclusively uses Watkins block for all of our retaining walls and paver patios. 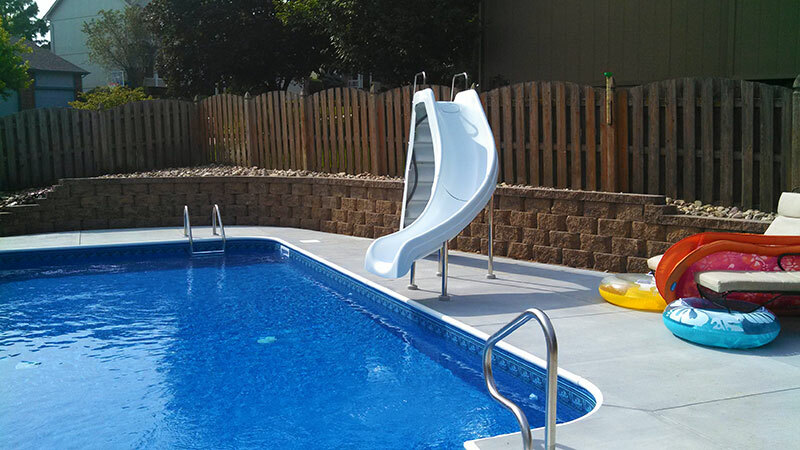 Watkins is a local Omaha company and produces a block product that is superior to that provided in large box stores. A top quality block will increase the durability of your project and ensure color consistency. 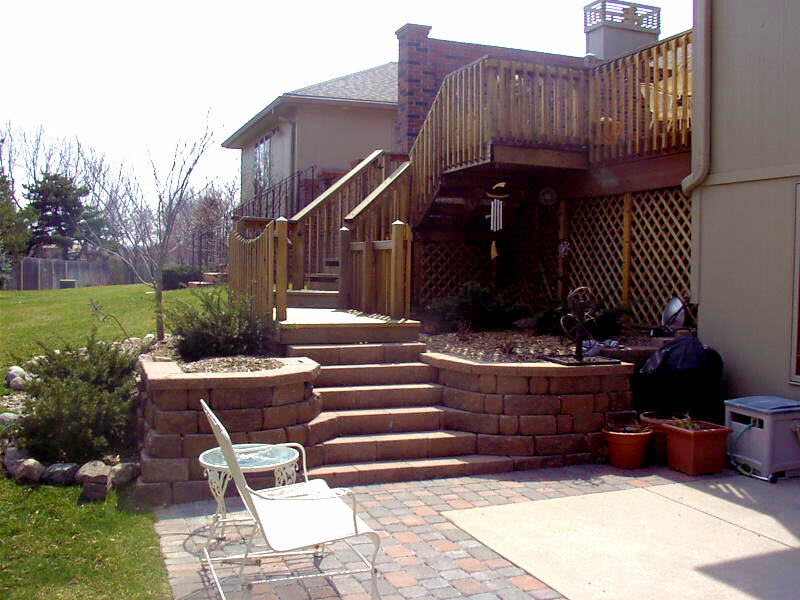 Wahle, Inc can create timber retaining walls as well. This beautiful and economical application can change the look and feel of any area. 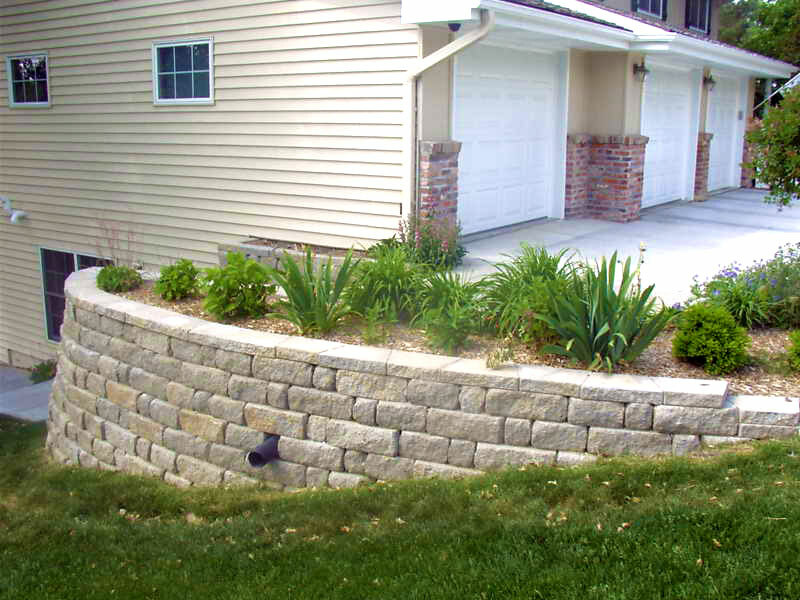 Retaining walls and landscaping in commercial applications requires a specialized skillset that Wahle, Inc. can provide. We build all of our projects above code guidelines and will engage the services of engineers when it is appropriate. 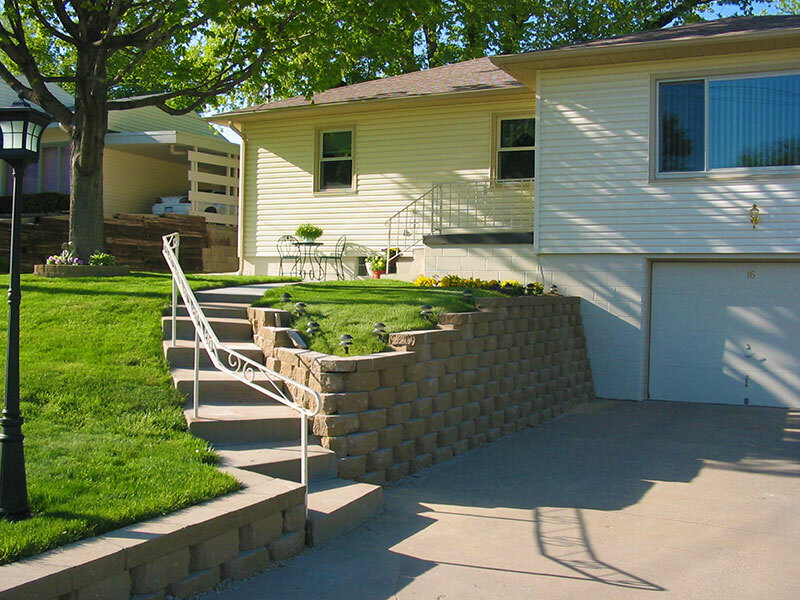 We are a licensed contractor in the city of Council Bluffs and a NCMA Certified Segmental Retaining Wall Installer. No matter the size or complexity, you can have confidence that we are the company to complete your commercial project. 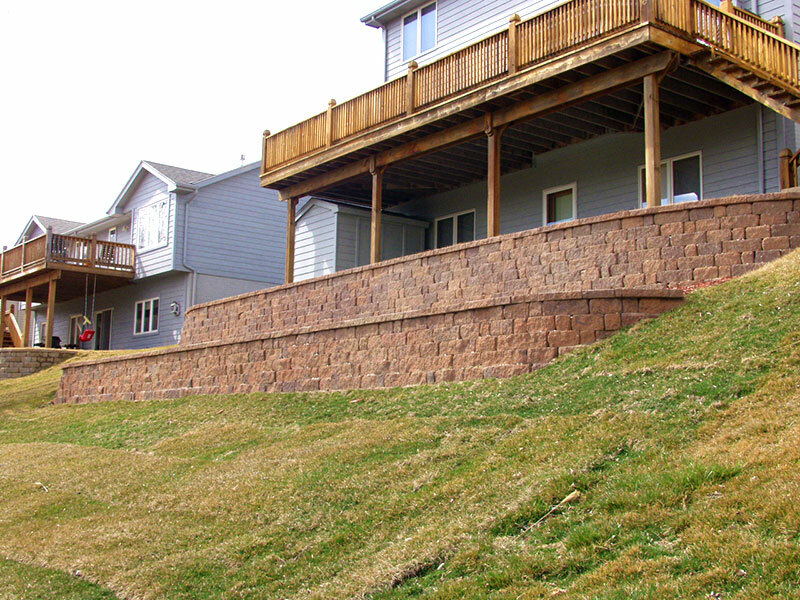 Retaining walls or otherwise, don't hesitate to get in touch.